San Jose police made good use of their brand-new helicopter Wednesday when they tracked down and arrested a suspected bank robber, according to the department. 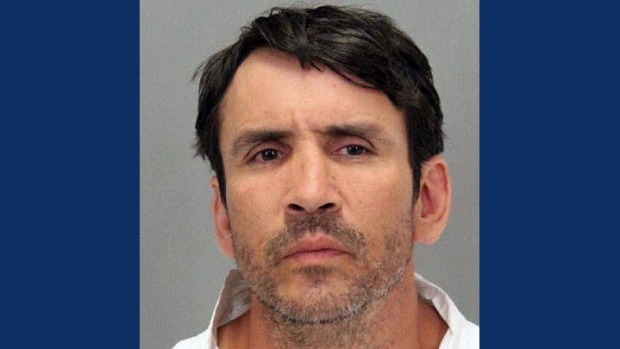 Brian Edward Austin, 46, of Oceanside, was taken into custody at Mineta San Jose International Airport after a robbery at the City National Bank branch at 1 Almaden Blvd. in downtown San Jose, police said. Officers responded to the bank about 12:45 p.m. on reports of a man handing a note to a teller saying he had a gun and demanding money, police said. No weapon was seen, and the suspect fled with money. 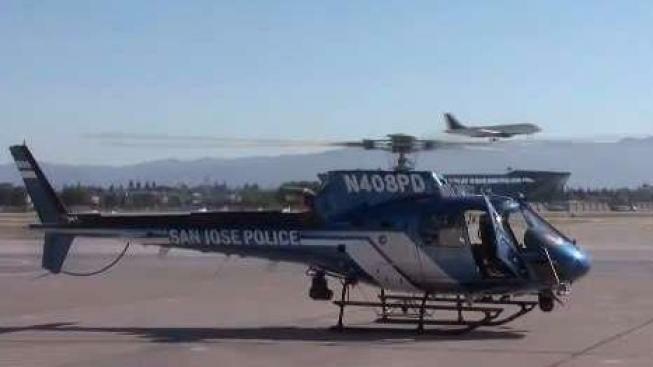 SJPD's new helicopter, Air3, was giving a presentation at the San Jose Police Academy in South San Jose when the robbery occurred, police said. The flight crew heard the police radio broadcast of the bank robbery and subsequent information that the suspect was in the area of the airport. The helicopter responded to the area and located the suspect’s vehicle by camera, witnessing Austin park in Terminal B, exit the vehicle, and change clothes, police said. Austin then was seen walking from the parked vehicle and boarding a shuttle bus, and an officer arrested him as he got off the shuttle at Terminal A. The stolen money was recovered, and Austin was booked into the Santa Clara County Jail on robbery charges, police said. San Jose detectives are investigating Austin’s possible involvement with bank robberies in other jurisdictions, police said. Anyone with information is asked to contact Detective Jason Park of the San Jose Police Department’s Robbery Unit at (408) 277-4166. Persons wishing to remain anonymous may call the Crime Stoppers Tip Line, (408) 947-STOP (7867).